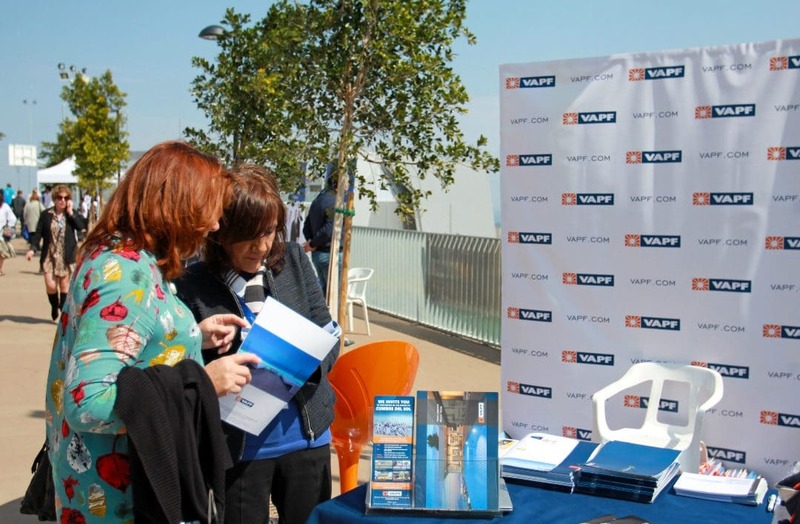 Here at VAPF, we take part in and hold a range of events so that our neighbours can see our new developments, learn about our news, and enjoy fun times together. That’s why on the 23rd February we were at Carnaval on the Cumbre, organised by the Laude Lady Elizabeth School, as a Gold Sponsor. We were at a stand all day to let people know about our wonderful developments in Cumbre del Sol Residential Resort, as well everything that’s new for 2019. It was an opportunity to get to know the pupils’ parents and other visitors of this prestigious school better, and to encourage them to participate in all the events we hold. In addition, everyone that came to visit us was able to enter our prize draw to win a tasting menu for two at the two-Michelin-starred BonAmb restaurant, located very close to Cumbre del Sol Residential Resort. Lots of activities took place in different areas of the school over the course of the day, inviting the attendees to see the new facilities for themselves. There were food stands, dog shows, talent contests, mini karts, inflatables… In addition, there were displays in some of the sports which are played at the school: football, hockey and karate, not to mention a batucada and capoeira group. The highlight of the day took place at 2:00pm, with the school’s official inauguration. The ceremony began with the presentation of the sports teams, accompanied by music, cheerleaders, and flags from a range of countries to display the school’s multicultural environment. Two pupils began with a speech in several languages, presenting the school’s headmaster Chris Akin and other people related to Laude. 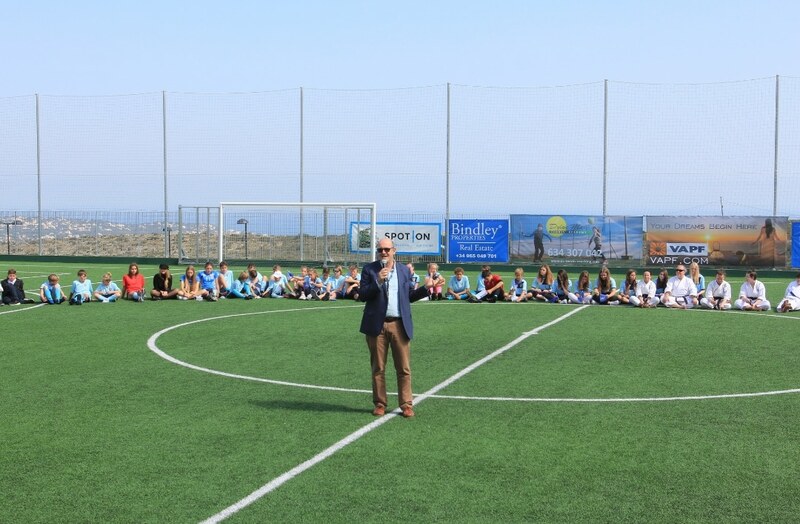 The headmaster thanked the event sponsors for their participation, as well as the organisation, pupil volunteers, parents, and other attendees. It was a wonderful day in which the school’s parents and collaborators had the opportunity to see the new facilities for themselves. Here at VAPF, we are proud to have participated in the growth of this school and to be able to accompany these children in their future. Would you like to stay up to date with all the events taking place in Cumbre del Sol Residential Resort? Subscribe to our newsletter by sending an email to cumbredelsol@vapf.com.